Let’s pack a picnic and hit the road! 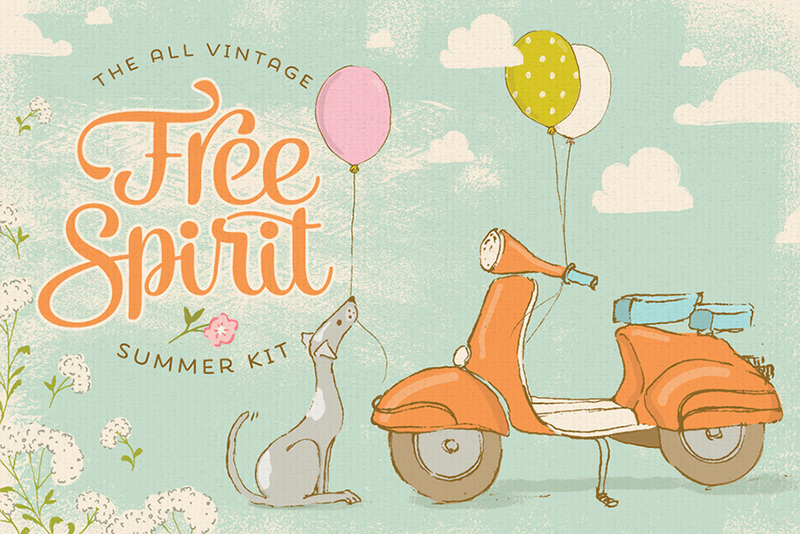 Say hello to the Free Spirit Summer Kit! Filled with playful whimsy, this graphic set will have you whipping up delightful designs full of free-spirited nostalgia! Perfect for apparel, wall art, greetings, invites, nursery art and so much more, you’ll be creating bohemian inspired work in minutes. And on your summer travels, you may come across a floating dog or two! Ready to add charm to your next creative project! Illustrations: Vector files Adobe Illustrator CS3 or newer. Raster files .PNG files can be opened with most photo editing software – please check your software for compatibility. • Vector files Adobe Illustrator CS3 or newer. • Raster files 12” x 12” 300ppi .JPG files can be opened with most photo editing software – please check your software for compatibility. Software compatibility: Adobe Illustrator CS3 and newer. .JPG and .PNG files will work with most graphic software. File size is approx 256.9MB (385.3MB unzipped), offered as a single download.